We are considered as the leading Supplier, Exporter and Importer of Delvo Electric Screwdrivers. 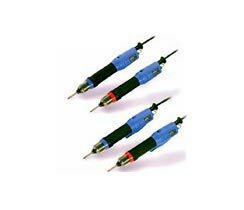 These electric screwdrivers are procured from vendors who manufacture under strict quality control. These are fully automatic, dependable brushless DC motor which can increase stable torque output, torque precision, and easier to operate. RB type series are mostly applied to assemble large products on automatic production line. We provide this product at a competitive price to our customers.